It is important to look like yourselves in the pictures. 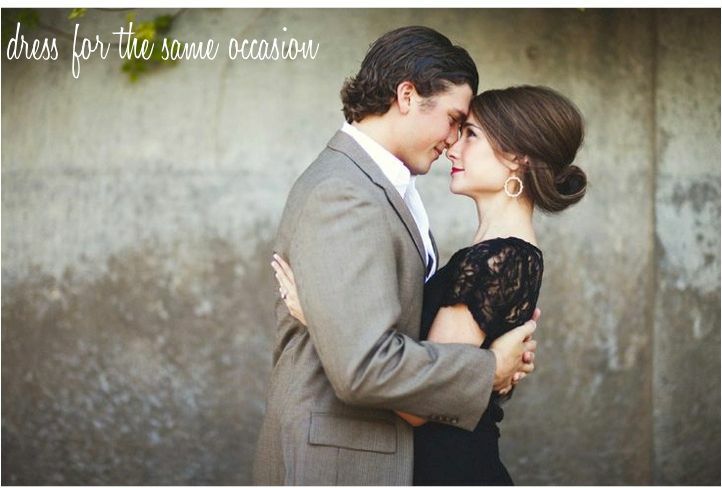 If you and your fiance are always in jeans and a t-shirt, don't wear a formal gown and tuxedo for your shoot. 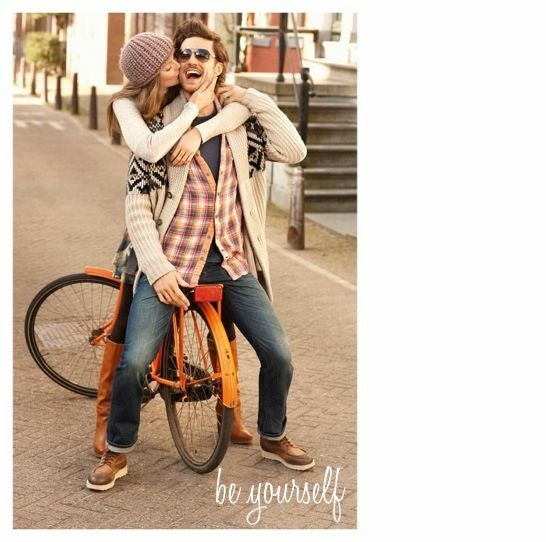 Stay true to who you are as a couple so you look more like yourselves in the pictures. Matching outfits tend to look more like you are brother and sister than a couple. Avoid looking too matchy by wearing the exact same colors. Try to choose colors that compliment each other instead of those that match exactly. It is important that you and your fiance look like you go together in the picture. If you are wearing a cocktail dress and heels and he is wearing jeans and a t-shirt, the photos will look too posed. Make sure you both look like you could be attending the same occasion for more natural looking pictures! 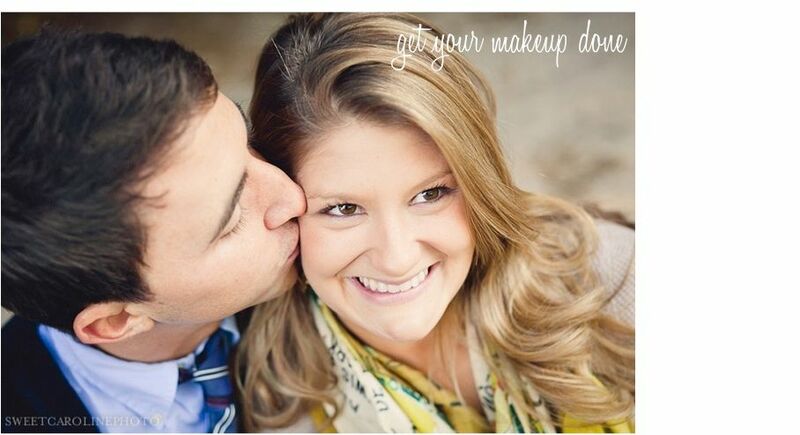 We highly suggest that you get your makeup done for your engagement pictures. Even better if you can get it done by the same person doing your makeup for the wedding. This will be a great way to see how your makeup looks on camera. Make sure to let the makeup artist know it is for professional photos. There are plenty of tricks that will look great on camera! 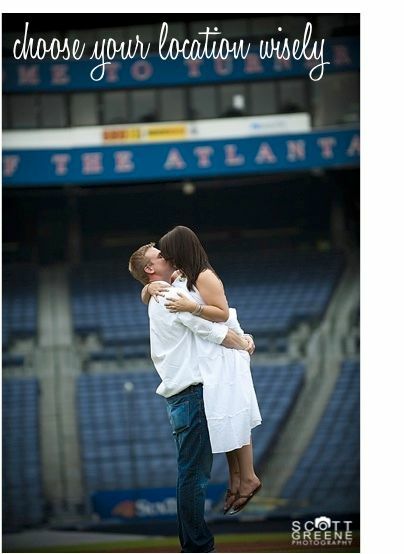 Make sure to choose a location that is special to you and your fiance. Maybe it is the place that you first met or got engaged or just a place that you go to often. It will mean more to you if it is a special place and the photos will all have a great story behind them!